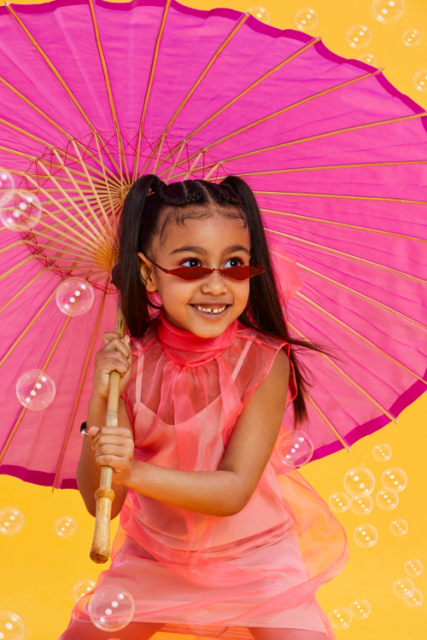 North West is only 5-years-old and she just landed her first solo magazine cover. 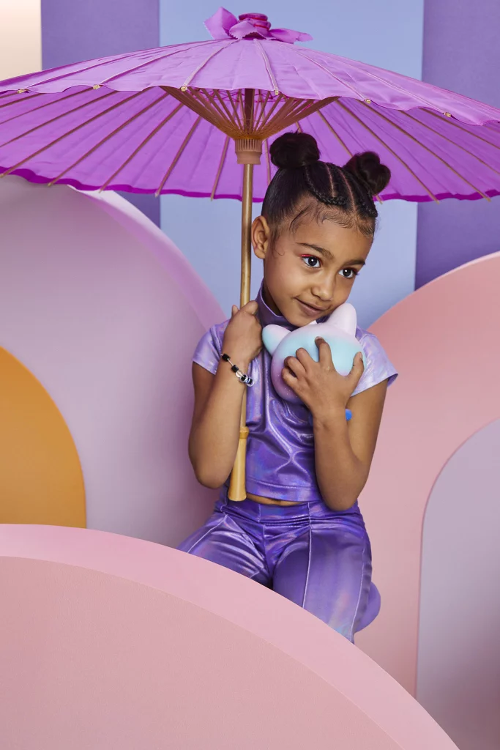 The mini fashionista, daughter of Kanye & Kim Kardashian West, is flexing her model skills on WWD Beauty Inc's February cover. She's styling and profiling in a series of photos where she's rocking fun, colorful outfits just in time for spring. The celebuspawn even rocked colorful eye liner for the shoot. 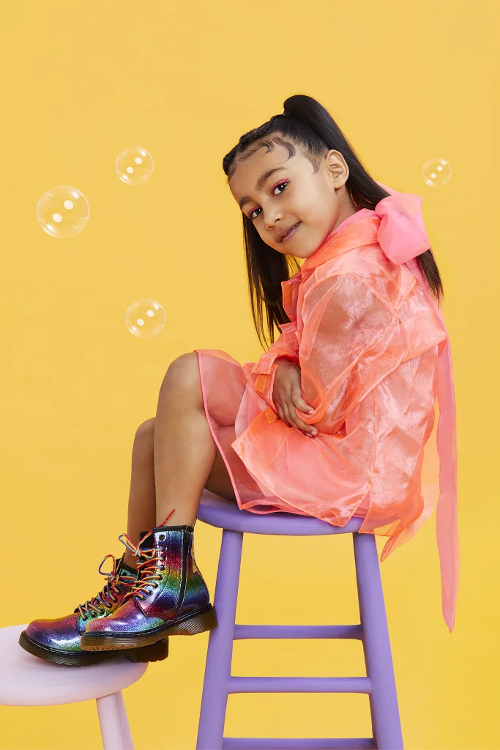 In the article, the magazine brings attention to the up-and-coming age group Generation Z (those born in 1997 and after) and has dubbed her as the leader of the new school. "Without a public Instagram or YouTube channel of her own, she's too young to fully understand what a digital footprint is. And yet, hers is already wildly popular," the magazine writes. "West, whether she knows it or not, is at the forefront of a generation that is highly connected, engaged with fashion and beauty and individualistic in style." Looks like she's already following in the footsteps of her parents as they prepare her to take over the next generation of pop culture. This isn't her first magazine cover, but it is her first solo cover. She appeared Interview magazine‘s September 2017 cover with her mom. North has also posed it up for Fendi’s #MeandMyPeekaboo campaign with her mom and grandmother, Kris Jenner. Blue ivy Carter also says Hi. About last night... Had the best dinner last night with my l ve & the Burns @mrsjessicaburns @kennyburns. Thanks for hosting us Carna by Dario Cecchini steakhouse!!! Date night for new parents LeToya Luckett-Walker and her hubby Tommicus Walker! The happy couple jetted out to the Bahamas to enjoy their first vacation since welcoming their baby girl, Gianna Iman Walker. The singer and her hubby welcomed their bundle of joy on January 4th and she weighed in at 7lbs 15oz. She posted a heartwarming picture of them holding their daughter's hand with the caption, "Gianna Iman Walker. Born || 1/ 4/19. 7 lbs 15 oz. Our lives are forever changed." The new bundle of joy is LeToya's first child and Tommicus' 2nd. He has a 6-year-old daughter named Madison from a previous relationship. Congrats again to the couple! Rapper Fat Joe met his "niece," the Golden Child, for the first time recently. Proud parents Remy Ma and Papoose gazed at their baby girl as Joe cradled her in his arms. He captioned, "Wowwwwww my niece is sooooo beautiful, i know everyone says their kid is beautiful but this young lady is stunning her smile is priceless God bless The Golden Child @papoosepapoose @remyma Family Ties"
PREVIOUS: Zendaya Slays Her Way To Becoming Newest (& Youngest) Face Of Lancôme, Lupita Nyong'o & More Welcome Her To The Fold!